The 145Ah Platinum AGM battery is a particularly useful size for larger battery banks, especially for live-aboard narrowboats, where a typical bank size is 700-800Ah. 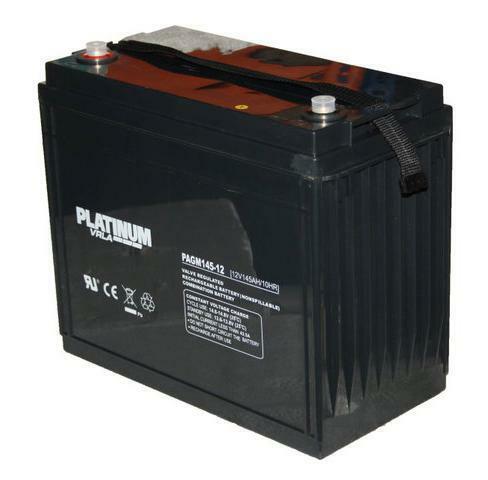 The Platinum AGM battery offers improved cycling capacity, vibration tolerance, durability and faster charging. Being a true AGM battery, the Platinum range can be used in any orientation and guaranteed leak free due to the non-liquid electrolyte system.